PressBooks does include a feature that allows authors to import content from MS Word into PressBooks, however it is not a precise import and chances are there will have to be work done in PressBooks to fix formatting issues, especially if the Word document was heavily formatted. If an author edits a book in MS Word, she or he may want to copy and paste the final text into PressBooks but doing so won’t bring in images. 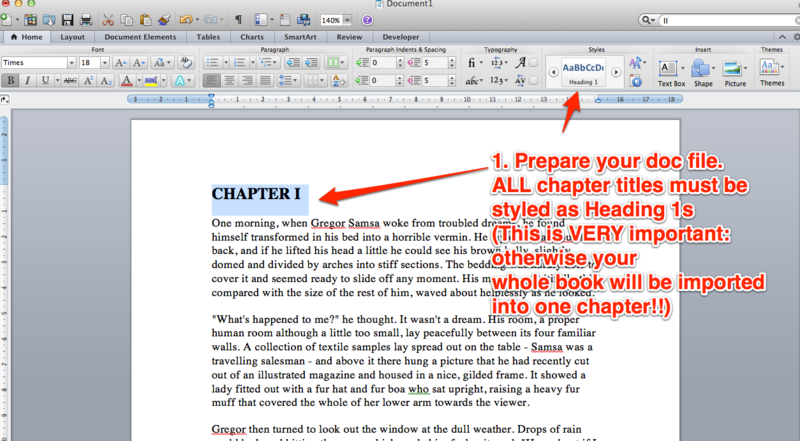 Plus, each chapter/part must be created before it is copied/pasted which is time consuming. Therefore, we recommend using the import feature ahead of the cut and paste method. The author can import the whole book or a ‘chapter’ (content between h1 headings). This is ideal when only certain portions of a book are revised/adapted. 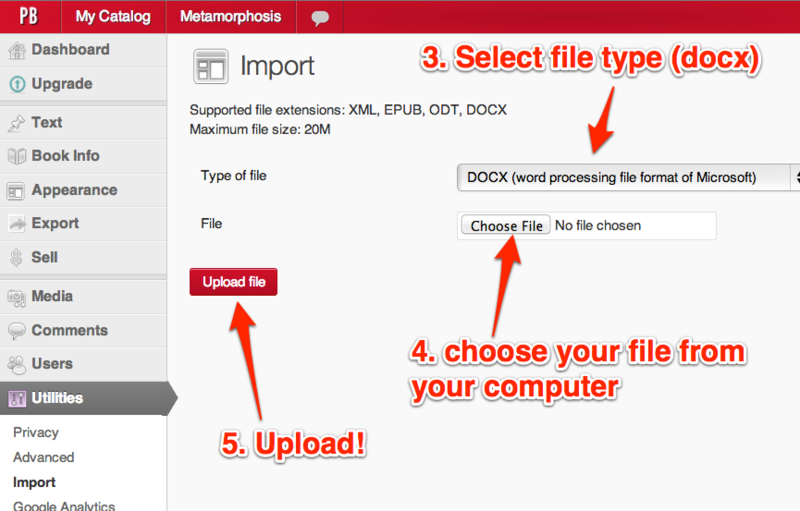 In PressBooks, go to: Left Menu/Utilities —> Import. everything other than basic styling is stripped out by design… so fancy fonts and such won’t get imported. Italics, bold, etc should. all chapters are imported as DRAFTs. A quick way to get this listed as published is: mark all the chapters Private, then revert to Public. This will make the “published”. all chapters assign a Chapter Author by default (usually, your username). 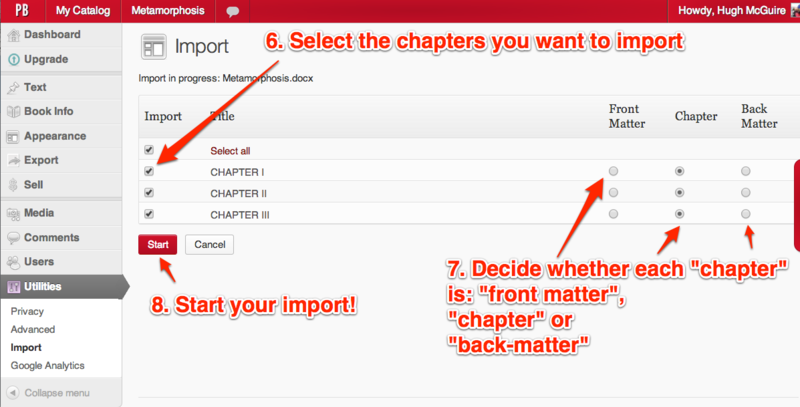 You’ll have to edit each chapter and delete the Chapter Author the Chapter Metadata section. 2. 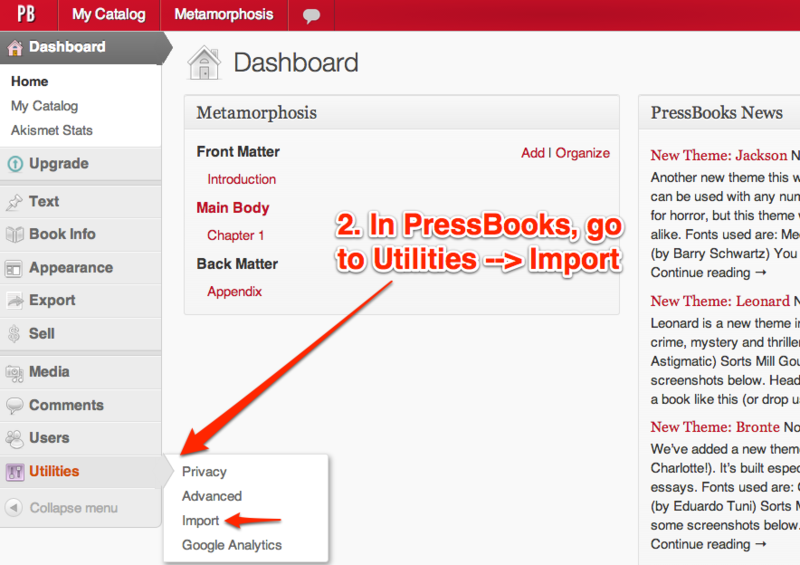 In PressBooks, go to: Left Menu/Utilities —> Import. Steps 6, 7, 8: Select which chaps to import, what kind of content they are, and then Start! 9, 10: Rearrange your chaps (if necessary), check them (!) and… tada! How to Import Content from MS Word by BCcampus is licensed under a Creative Commons Attribution 4.0 International License, except where otherwise noted.